You are currently browsing the Western Custom blog archives for November, 2012. A residential entryway can welcome guests with character and personality. 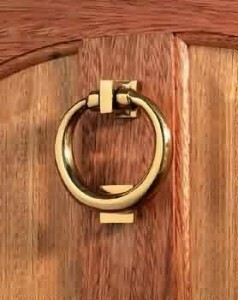 Doorknockers can convey a range of sentiments from classic elegance, to the rustic ambiance of a Western ranch. These functional door accoutrements add a touch of character, and purvey underpinnings that address the persona of the occupants.